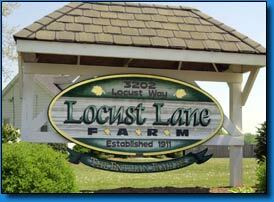 Custom Commercial Signs Maryland MD | Virginia VA | Washington DC | KERLEY SIGNS, INC.
Sandblasted and routed signs are an especially attractive type of sign. They can be made from high quality redwood or high-density urethane (foam). This type of sign has a beautiful 3-dimensional quality to it, making it ideal for any use. Choosing a sign which best suits the specific needs of your company can prove to be quite the challenging experience. Thats why here at Kerley signs we are committed to providing you the best possible service in order to ensure the success of your business. Custom commercial signs can be seen as one of the best way to portray your business. Sandblasted and routed signs are an especially attractive type of sign. They add a unique craftsmanship while reinforcing its functionality of conveying its desired message. From Country Clubs to residencies, to businesses, these signs will provide an original, handcrafted look, enhancing the Maryland, Virginia, and Washington DC area. These custom commercial signs can be as creative and original as you can possibly imagine. Let our team of professional designers create your custom commercial sign and send you soaring above the competition. With Kerley signs, your message, whatever it may be, will be conveyed with style.